The First World War, the war that was supposed to be the war to end all wars. From the summer of 1914 through to the Armistice of November 11th 1918 the world was at war. Alliances had been dragged into a conflict triggered by the Assassination of Franz Ferdinand. It was a conflict that spread to become truly global. Millions of men fought, millions of civilians were displaced. Casualty rates soured at battles that are now as infamous as they are famous. Medicine changed as a result of the changing injuries of the first world war. The war shattered the governments of major powers leading to the rise of the Bolsheviks, the collapse of the German Second Reich and the disintegration of the Hapsburg Empire. At its end, the First World War left France and Belgium in particular in tatters. A continent had to be rebuilt, peace had to be ensured. Sparked by the Assassination of the heir to the Hapsburg throne, Archduke Franz Ferdinand, the war was caused by a variety of issues. They are often grouped together to form the useful memory aid MAIN (Militarism, Alliances, Imperialism and Nationalism). We summarise the causes of the First World War on this page. It contains an overview of the most significant factors that led to war. Lesser factors and those that are often overlooked are appraised in this page on forgotten causes of the great war. A timeline of the most important long and short term contributory factors can be found here. Below are direct links to pages on specific issues that led to the outbreak of the war. The battlefields of the First World War are famed for the carnage and huge loss of life that was involved. The nature of warfare did change though. It also varied from one theatre to another. These changes and regional differences can be assessed by comparing battles over time, or from different fronts. Battles that we have written about to date are below. First Battle of the Marne – The Gallipoli Campaign – Battle of Verdun – Battle of Jutland – Brusilov Offensive – Battle of the Somme – Battle of Passchendaele – The Spring Offensive – Battle of Amiens – Victory on the Western Front? Wars create legends, heroes and villains. In the case of the First World War it also has a cast of personalities who are hugely significant until the bitter end. Then, in many cases, they lose everything. From monarchs and leading politicians to heroes who were lauded by the media, the First World War was one that broke new ground in the portrayal of the men at the front and at High Command. Below are biographies of some of the leading personalities of the war. As warfare developed into one based around assaulting trench systems, the methods deployed by the armed forces altered. Guns got bigger. Methods of clearing trenches became more dangerous as Gas and Flamethrowers entered the battlefield. Tanks were invented and used to support the infantry. Aircraft were modified, fitted with machine guns and used to observe, then scatter, then bomb. These became bigger, faster and more maneuverable as the war progressed. They worked in tandem to create new methods of attacking. From bombardments to bite and hold through to the creeping barrage, assaults on the ground changed due to the availability of new technology. Medicine in the First World War changed as a result of the new types of wound and injury inflicted on soldiers. Gas, Shrapnel and Shellshock were new phenomenon. Trench Foot was a severe problem. The fight to keep men active and fit for service was a large battle in its own right. Read about Medicine in the First World War here. The First World War incurred huge losses of life on all warring nations. Millions died. Millions more were wounded. Yet more were harmed by the consequences of the war. 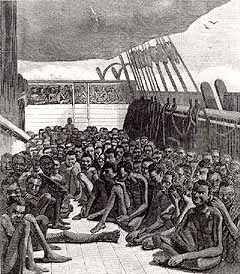 The consequences of the Allied blockade included starvation. Attritional warfare in and around towns and cities led to homes and businesses being destroyed. The cost was human, physical and financially enormous.